Do your nurses/carers make visits to clients in their own homes – If so you’ll need a domicile care extensions to your covers. What is Surgery Insurance? 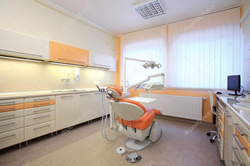 – It’s an insurance designed to specifically cover the needs of the management of a surgery whether you’re a Doctor, dentist or chiropractor – The main covers would be for premises, staff, equipment and customers. Would we be able to increase our liability cover if we are awarded a local authority contract? – Absolutely, all the Insurers active in this sector offer the facility to increase the public liability to £10million. What sort of covers would I need on my policy?